This animal, as you can see, is called a Marabou stork. A bald head and neck and long dangling throat sac give the marabou stork a most unusual appearance. When it goes courting, the stork uses the throat sac to make calls and grunts. 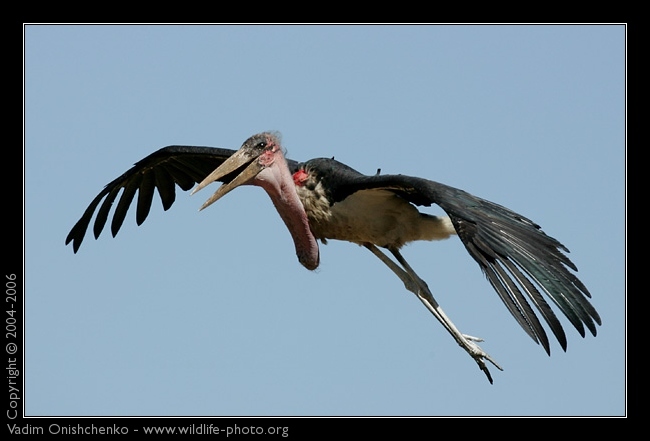 Marabou storks look magnificent in the air, as they have a wingspan of about three metres (10 ft). These birds eat almost everything. 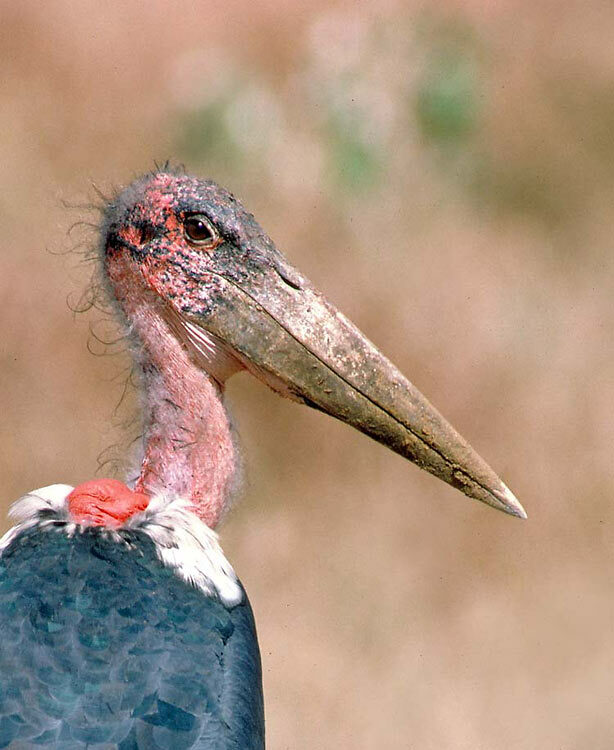 Fish, insects, eggs, other birds, and dead animals are all on the marabou stork’s menu.